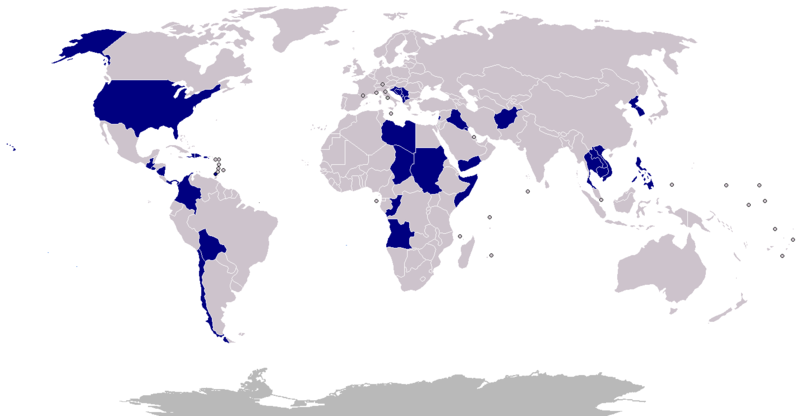 The United States has been in a state of near-perpetual military conflict for decades, and not just in the declared wars of Iraq and Afghanistan. Currently, we are bombing Iraq and Syria to destroy the Islamic State, performing drone strikes in Afghanistan, Pakistan, Yemen and Somalia in order to destroy Al Qaida, and have deployed thousands of “military advisors and specialists” to numerous countries (ex. Nigeria, where we are helping destroy Boko Haram). Our endless military interventions and wars appear to have desensitized Washington to conflict, leading them to have a very strange definition of “war.” They have lost perspective as to what constitutes a war, and see military actions that don’t involve the full-out invasion of other nation to be just business as usual. 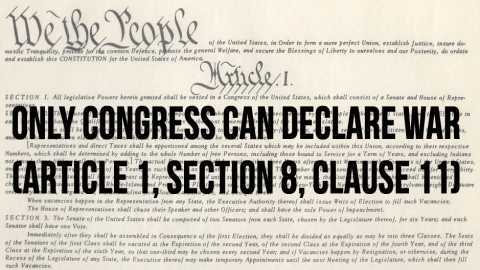 According to our Constitution, a war must be declared by the legislature in a full vote, and the president has very limited unilateral power to engage in conflict—he can prosecute a declared war to his discretion (within treaties and international law), but he can only legally start hostilities against an imminent threat to the homeland (ex. if Mexico decided to invade Texas and the legislature is in recess, the president can strike back while the legislature prepares a declaration of war). Unfortunately, gridlock and rampant partisanship in Washington have combined with the cowardice of the political establishments to create a situation where war is no longer a somber and official act of law. Both political parties benefit from contributions from defense contractors, thus have an incentive to perpetuate military engagements, but don’t want to be on the record as supporting war when those engagements become unpopular. Because of this, they have willfully turned a blind eye to presidents infringing upon the legislature’s power to declare war, and have let the United States fall into a series of extra-legal conflicts. 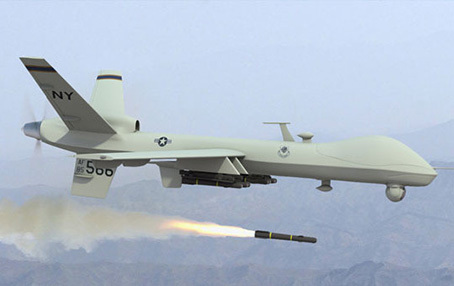 Drone War: A war where we send flying killer robots to circle over an area and rain missiles on people who are either identified as combatants, suspected to be combatants, or acting in a way that makes somebody in Virginia think that they are suspicious. This type of war has been implemented across the Middle East, North Africa, and Pakistan. No Boots on the Ground War: A war where we bomb a nation from the air, but don’t put any troops on the ground to engage their forces and be in harm’s way. In theory, this is the type of war that we are currently engaged in with Syrian and Iraqi IS. Limited War: A war designed to achieve a specific goal that falls short of regime change. We have heard a great deal about this type of war in regard to a nuclear Iran, and almost stumbled into such a war in order to get Syria to relinquish its chemical/biological weapons. At the end of the day, all of these types of military operation are valid, if prosecuted with regard for the rules of war and officially declared by the legislative. That said, Washington tends to see these types of war as “not real war” which doesn’t actually require a full declaration. In reality, all of these types of conflict ARE war and must be treated as such. Letting such conflicts be declared by a unilateral executive using the excuse that they fall short of a full invasion of a sovereign nation is simply an unconstitutional recipe for disaster. A declaration of war should be a deliberate and lawful act, and the American people must immediately begin demanding that our legislature be involved in every decision to start a new military conflict. While I, like many others, have little faith in the legislature, forcing them to be involved will be positive because it will force them to weigh the conflict against the political backlash that is bound to come, thus disincentivizing pointless conflicts and reducing the danger of blowback. Have we ever not been at war? I continue to ask myself this question. Has this nation ever been at peace? It seems to me we have perpetuated conflict or jumped in when we see conflict, that this is our niche. I am weary, why aren’t others? You and I are weary–the defense contractors, politicians they own, corrupt think tanks and greedy media operations however are perfectly happy to promote endless war. As the American people have largely lost control over our government, this means that our views are ignored while the big money gets its way.